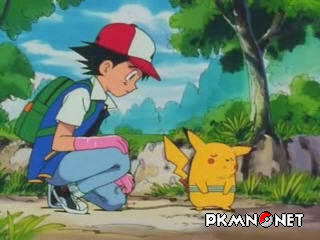 Ash is given a Pikachu and sets off on his Pokémon journey. Ash meets Misty and destroys her bike, prompting Misty to follow Ash. Team Rocket decide to follow Ash to attempt to catch his Pikachu. Ash's Metapod evolves into Butterfree. Ash defeats Brock at the second attempt and earns a Boulder Badge. Brock decides to follow Ash. 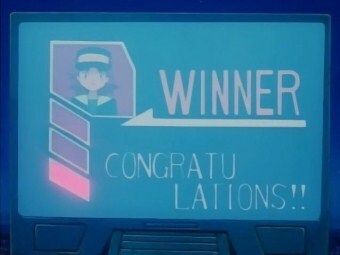 Ash defeats Misty and earns a Cascade Badge. Ash is given a Bulbasaur. Ash beats Lt. Surge at the second attempt and earns a Thunder Badge. Ash trades his Butterfree for a Raticate but later trades back. Ash is given a Marsh Badge by Sabrina and leaves his Haunter with her. Ash is given a Rainbow Badge by Erika. Brock is given a Vulpix. Ash gives away his Primeape. Jessie's Ekans evolves into Arbok. James's Koffing evolves into Weezing. Ash defeats Koga and earns a Soul Badge. 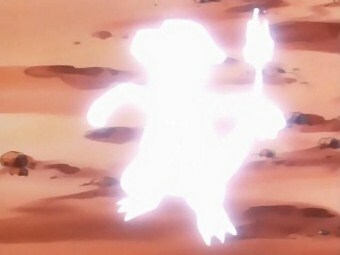 Ash's Charmander evolves into Charmeleon. A wild Jigglypuff starts to follow Ash. Ash's Charmeleon evolves into Charizard but refuses to obey him. The Egg hatches into a Togepi and becomes attached to Misty, believing her to be it's mother. Todd temporarily joins the group. Ash defeats Blaine on his second attempt and earns a Volcano Badge. Misty gives her Starmie and Horsea to her sisters. Giovanni creates Mewtwo and uses it to defeat Gary. Ash defeats Team Rocket and earns an Earth Badge. Ash's Mum catches a Mr. Mime. Mewtwo breaks away from Giovanni. Mewtwo creates an army of clones and battles with Mew until Ash stops them fighting (Movie). Ash arrives at the Pokémon League and wins his first Rounds. Ash meets Richie and then draws him in the Pokémon League. Richie knocks Ash out of the Pokémon League. Richie is knocked out of the Pokémon League. Professor Oak asks Ash to go to the Orange Islands to retrieve the GS Ball from Professor Ivy. Ash's Pidgeotto evolves into Pidgeot. piplup princess on Thu 25 Nov 2010 19:04:47 UTC. kyle on Mon 27 Jun 2011 17:44:07 UTC. GreatWolf on Sun 16 Oct 2011 17:17:36 UTC. best season of pokemon ever! AggronSteel on Fri 30 Mar 2012 04:14:09 UTC. Professor Pichu on Sun 11 Jan 2015 04:01:55 UTC. Guest on Thu 07 May 2015 07:23:26 UTC. lugia2016 on Sat 13 Feb 2016 16:21:50 UTC.